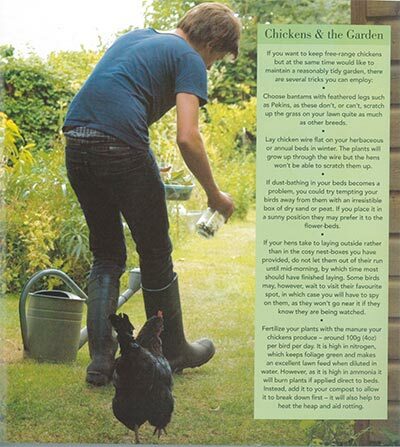 Having read quite a number of books on the various aspects of keeping chickens, a book that says it’s for the beginner and more experienced keeper alike usually makes me raise an eyebrow. Will there really be anything new I can learn from this book? Well in one word YES! I learnt a lot from this book and it was well worth reading. There were interesting facts and tips throughout that were well presented and researched. The authors certainly know a thing or two about chickens. The book is highly readable and it is one of the best poultry books I have come across for presentation of information. There are vibrant colour photographs throughout the book. Compliments really do need to be given to the photographers and editors as well as the authors since this book is such a pleasure to read. This book really is an “everything you need to know” guide to keeping chickens. It starts with chapters on understanding chickens and gives some important information about what to consider before buying your chickens. The next chapter is devoted to choosing the breed and asks many more fundamental questions like pure breed or hybrid, eggs or exhibition before giving over 20 pages of detailed breed information for the major breeds. Chapters on housing and cleaning, feeding and breeding follow then there is the all important subject of health which covers a good deal of minor ailments such as lice, worms, crop impaction and mites as well as some of the more serious diseases that chickens can get like Coccidiosis, Mareks’s and Newcastle Disease. The next few chapters cover the use of feathers and eggs in art and crafts and there are some really easy little projects that you can do with children, my favourite being the ‘cress heads’ where half an egg shell is placed in an egg cup and a face is drawn on the front, cress is planted inside the egg shell for hair. Hours of fun for the children! The final chapter covers Egg recipes and there are a few of the best recipes for eggs here including my favourite Lemon Curd. At the time of writing this review, the book was retailing at £10.09 on Amazon. I think for this price you can’t really go wrong. Since writing the review, the book has been reprinted as a second edition, the first edition selling over 50’000 copies. 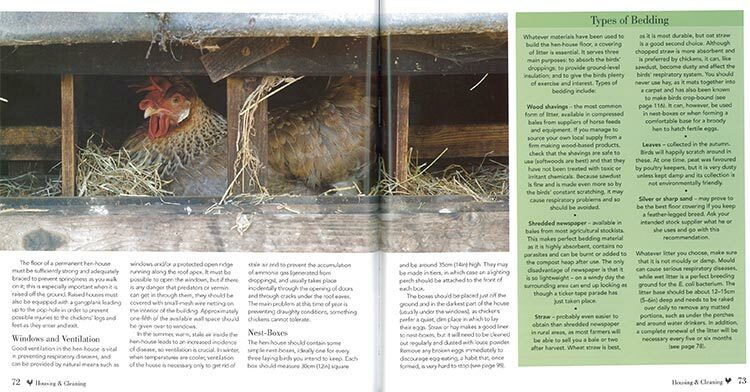 This book would make a lovely present for somebody interested in keeping chickens and for the more experienced keeper, there are some little gems of information to pick up scattered throughout the book. It is easy to read and has some good, sound advice.